As a podcaster, reviews help improve the show’s ranking in iTunes, so it is easier for new listeners to find it. So here are the instructions. I will use my podcast as the example. 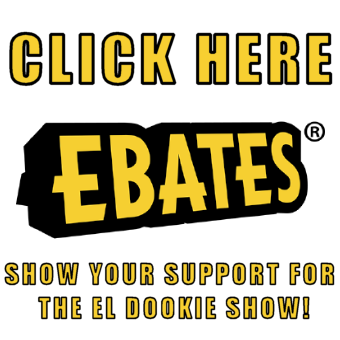 If you listen to The El Dookie Show podcast, thank you for helping to support the show by subscribing and leaving a rating and review in iTunes. The reviews help improve the show’s ranking, so it is easier for new listeners to find it. If you’ve never heard of The El Dookie Show podcast, it’s a good time, and I appreciate you checking it out. If you are in the iTunes Store, great. If not, click the Store button (upper left corner for iPhone, lower left corner for iPad). Find the search box at the top of the screen, and type in El Dookie and hit Enter. Scroll down to the Podcasts section and click on The El Dookie Show. If you are in the iTunes Store already, great. If not, click the iTunes Store button in the upper right corner or in the menu bar. Click in the search box in the upper right corner, type in El Dookie, and hit Enter. Click on The El Dookie Show logo under Podcasts. To rate and review the show, click Ratings and Reviews just above the show description and below the show name in the middle. Be sure to click on the number of stars. Click Submit and you are done! The review will not show up right away, but you are all set. Thank you for taking the time to rate and review The El Dookie Show podcast! The podcast future is bright, and the ratings, reviews, and subscribers help us stand out from the crowd.